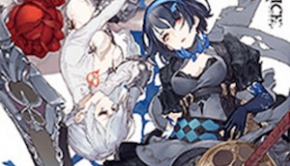 As with the first NieR game, the success of the second game’s soundtrack saw the release of a couple arrange albums. 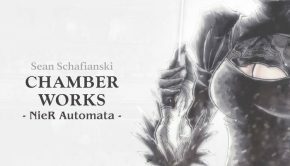 The first focused on arrangements in a variety of styles while the second, the NieR: Automata Piano Collections, takes the game’s tunes and transforms them into piano renditions. 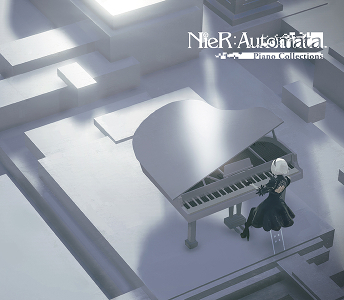 While the first game’s piano collections featured only a small handful of composers, primarily game music composers, this piano collection opts for a “more cooks in the kitchen” approach and features primarily performers arranging the music for piano with Keigo Hoashi, of the original soundtrack, offering a few arrangements, as he does in the first game’s respective piano album. How does this approach compare to the first game’s piano collections? 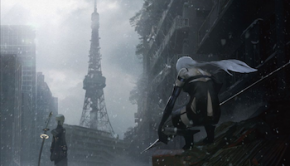 The album opens up with the game’s vocal theme, “Weight of the World,” arranged by Dai Sakakibara. Much like the first game’s piano collections approach, it offers a fairly simplistic take on theme. It’s airy, captures the spirit of the original, albeit without nearly as much power, but tends to wander a bit making for a piece that lacks focus. It’s not awful, but it certainly isn’t going to turn any heads. marasy’s “Amusement Park” continues the trend of simplicity with its approach. It manages to capture all the various moods of the original, from the mysterious to the powerful, but tends to drag on towards the end due to its length and repetition, although it is by no means the worst offender on the album. Keigo Hoashi’s first tune takes the powerful “A Beautiful Song,” and transforms it into a moody jazz tune thanks to its downtempo approach. It is an evocative approach that I really appreciate, especially given my love for the source material, and the end result is simply stunning. His other arrangement, “Vague Hope,” closes the album and is another interpretative piece that manages to maintain the solemn and delicate nature of the original and the end result is both powerful and uplifting. yo suzuki also offers two arrangements. The first, “City Ruins,” features plenty of sustained notes that adds to the ethereal and melancholy sound of the arrangement while the increase in tempo gives the tune a bit more energy compared to the original. The end result is quite beautiful. The other arrangement, “Voice of No Return,” is a fairly typical approach with the melody front and center and isn’t too adulterated. The end result has a thoughtful sound to it and, as with the original, is quite pretty. Mariko Taguchi’s “Dependent Weakling” is an excellent addition as well. It’s romantic, yet delicate at times, and still retains the power of the original. However, I appreciate the second half of the track more as it shifts to something a bit jazzier and more interpretative in approach. Another arranger who offers multiple tunes is Yasumasa Kumagai. His first arrangement, “Peaceful Sleep,” has a quality akin to its name, is beautiful and simplistic, but also features some romantic and jazzy passages that offer a bit more interpretation to the melody. With his arrangement of “The Tower,” things start off quite beautifully, retaining the relaxing and mysterious nature of the original’s intro, giving the overall atmosphere a haunting quality. However, the second half just falls apart. While trying to emulate the increase in intensity of the original in piano form, the accompaniment is just constant chord playing that berates the listener and absolutely kills the mood. Taku Yabuki’s “Copied City” relies heavily on the piano backbone of the original and emulates that throughout the entire piece while the piano line in the melody mirroring the vocal melody found in the original. At times, there are hints of darkness, but it mostly retains a mystical quality, much like the original. However, it is not very memorable and doesn’t really elicit any strong reactions. “Bipolar Nightmare,” by Ryota Kikuchi, is an over the top, virtuosic rendition that retains the original’s energy. The piece itself is very dynamic and helps the piece stay fresh throughout. It’s certainly one of the highlights of the album. Lastly, the Duke of Pianeet arranges “The Sound of the End,” giving it a dramatic, determined sound that is fairly representative of the original. 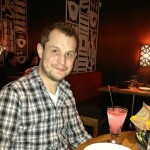 It builds nicely and has a nice dynamism to it. As someone who enjoyed the first album’s approach, I find this release to be a bit lacking in comparison. 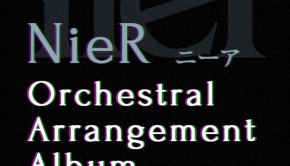 While I truly enjoy many of the pieces on the album, the thing that differs from the first is that some of the tunes chosen for arrangement are a bit more complex in their original form. This isn’t necessarily a bad thing, as some of the tunes were converted quite nicely. However, the fact that there was a variety of arrangers as opposed to a core set, like in the first piano collections, opens the way for more diversity, but at the same time, not as much identity. If the collection had been trimmed down to a few key players that could truly flex their creative juices across a wide set of tunes, as opposed to one or two, the album might have been stronger. It’s by no means a bad album, but it is missing that spark. Posted on June 1, 2018 by Don Kotowski. Last modified on June 1, 2018.